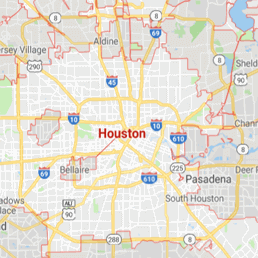 911 Restoration Houston wants to help you keep your home in Tomball safe, comfortable, and in good shape through water damage repair and restoration. We are fully committed to providing you with the assistance you need when issues like roof leaks or pipe bursts are causing problems. 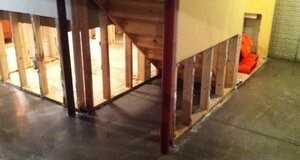 Repairs and restorations will be performed by our highly trained water damage Tomball specialists. Rest assured that your home will get a fresh start with our services. Our technicians are licensed, insured, and bonded to handle any kind of water damage restoration. If your home’s structural integrity is being affected by a roof leak, sewage backup, pipe bursts, or flooding, 911 Restoration is will respond within 45 minutes of your call. 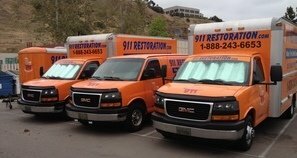 No matter when you need help, the 911 Restoration team is available 24/7/365 to repair and restore water damaged sections of your home. When you call us, you can expect your home to be back in perfect shape in no time! When you detect a leak within your home, you should call the professionals from 911 Restoration right away. We’re always prepared to lend you a hand with any water emergency you’re experiencing at home. Keep watch for warning signs like water stains on the ceiling, cracks on the plumbing, and low pressure faucets. Being able to detect these issues early on can help you avoid major issues like flooding or mold growth in the long run. Make sure that your water-based appliances like washer and water heater are well-maintained to prevent bursts or leaking. Keep your gutters clean and roof in shape. Regularly clean your gutters to prevent clogging. While doing so, it’s a good idea to check the roof for any signs of missing or loose shingles. Keep your drainage system up to date. This will make sure that water doesn’t end up in areas where it can cause structural issues. If your home is already awash in water damage from a recent pipe burst, water heater failure, or even a toilet overflow, then contact our experts with 911 Restoration Houston today! We’ll make use of advanced drying technology and techniques to effectively extract water and moisture out of your home. Our service aims to provide you with quality water damage repair and restoration that will make your home look good as new. For all of your liquid issues, rest assured that our water damage Tomball team with 911 Restoration Houston will always be there to provide you with a fresh start, so give us a call today!